Last night, Teach For America Connecticut hosted a really fun event with the New Haven J.Crew store. We were offered a special discount while we shopped for holiday gifts and Teach For America by J.Crew t-shirts. This event happened across the country in many different J.Crew stores. 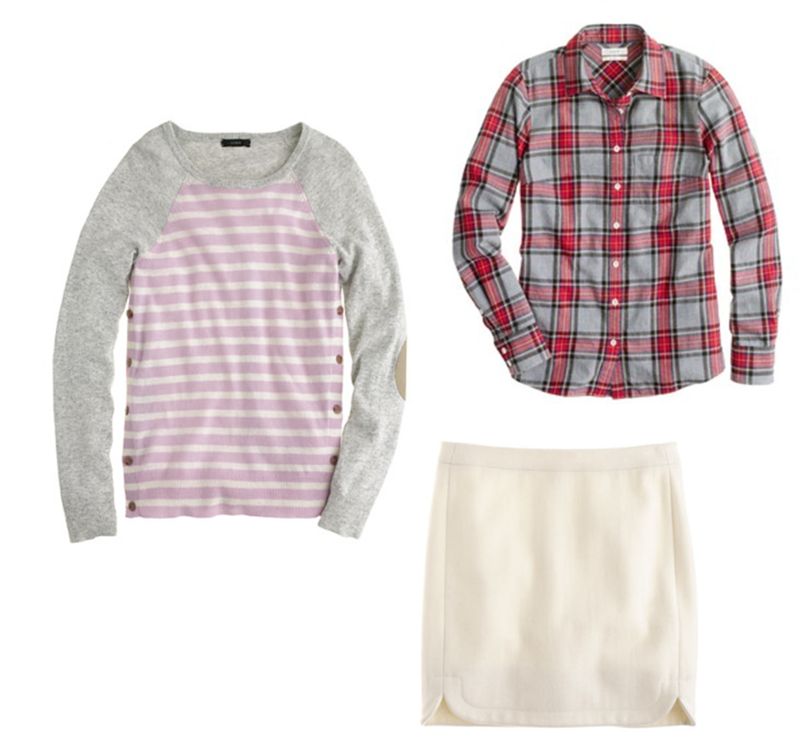 100% of the proceeds from the TFA + J.Crew line went to Teach For America and 15% of the proceeds from the event benefited Teach For America. It was such a great evening and I was able to pick up a few items that I've had my eye on. It was a great chance to do a little holiday shopping while supporting my favorite organization! I've had my eye on that sweater for some time now. I mean, it has elbow patches, so it's a given that it would be on my list. It's perfectly adorable and I honestly want one in every color. I've been looking for a festive looking flannel shirt and shockingly, this was the only flannel style they had right now. But I love the coloring and how cozy it is. This skirt is the perfect shade of winter white and I love the "shirt tail" detail. I tried it on with black tights and boots and it was adorable. I can't wait to add it to my work wardrobe rotation. I also picked up a special treat or two for C. I mean, we got almost 45% off, so it was pretty hard to say no to all the cute stuff (hurry over it's 30% off still!!). I ended up passing on these flats even though I still reallllly want them.